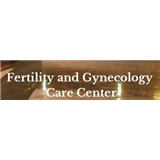 FERTILITY AND GYNECOLOGY CARE CENTER (Little Rock) - Book Appointment Online! Very friendly staff!! Dr. Miller is excellent!! He gives my husband and I hope that one day we will extend our family and always lets us know what the next steps will be to getting us closer.